After rebounding from local retracements, Eurodollar made a fast descending movement, thus allowing me to move the stop loss of my sell order to breakeven. Yesterday, during a correction, I opened another order. The target is still the group of lower fibo-levels: after reaching them, the pair may start a new correction. 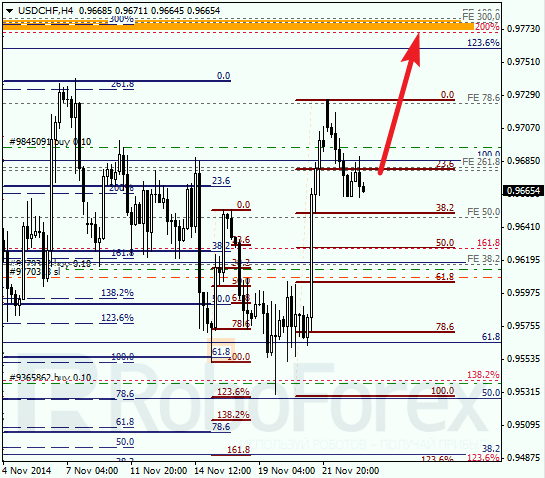 As we can see at the H1 chart, bears have been also supported by several local retracements. 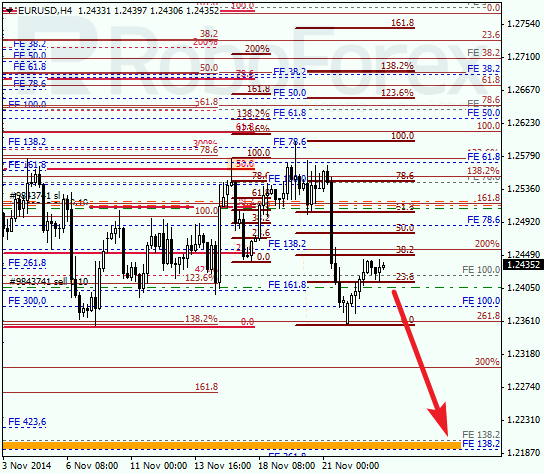 Right now, the market is attempting to rebound from an intraday retracement 38.2%. 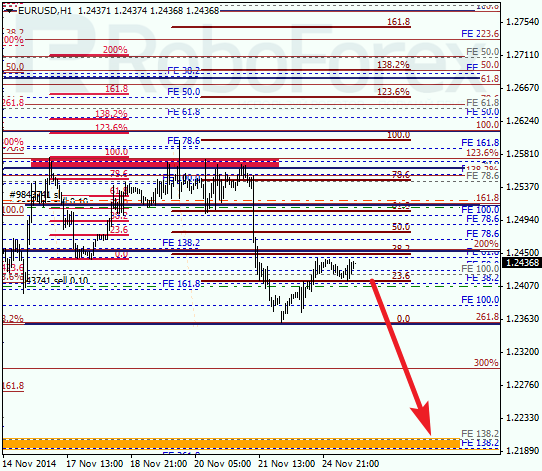 In the near term, the pair is expected to continue moving towards the group of lower fibo-levels at 1.2180 – 1.2200. After rebounding from correctional retracements several times, Franc was able to resume moving inside the uptrend. The target is still the group of upper fibo-levels. I’ve moved all my stop losses to a local maximum. 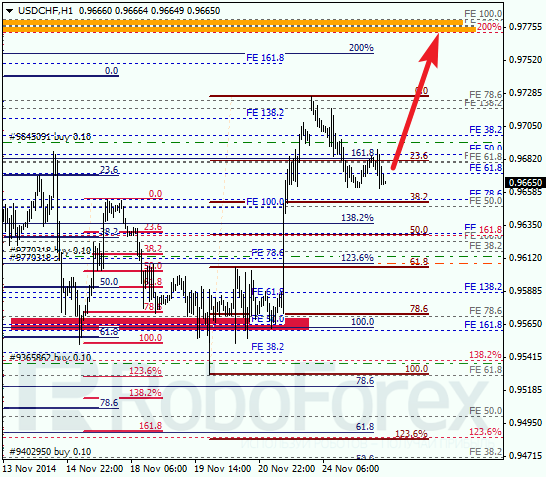 Possibly, the market may rebound from a local retracement 23.6% and resume moving upwards. If the price continue growing, I’m planning to move the stop loss after the market. The pair may break the maximum during the next several hours.